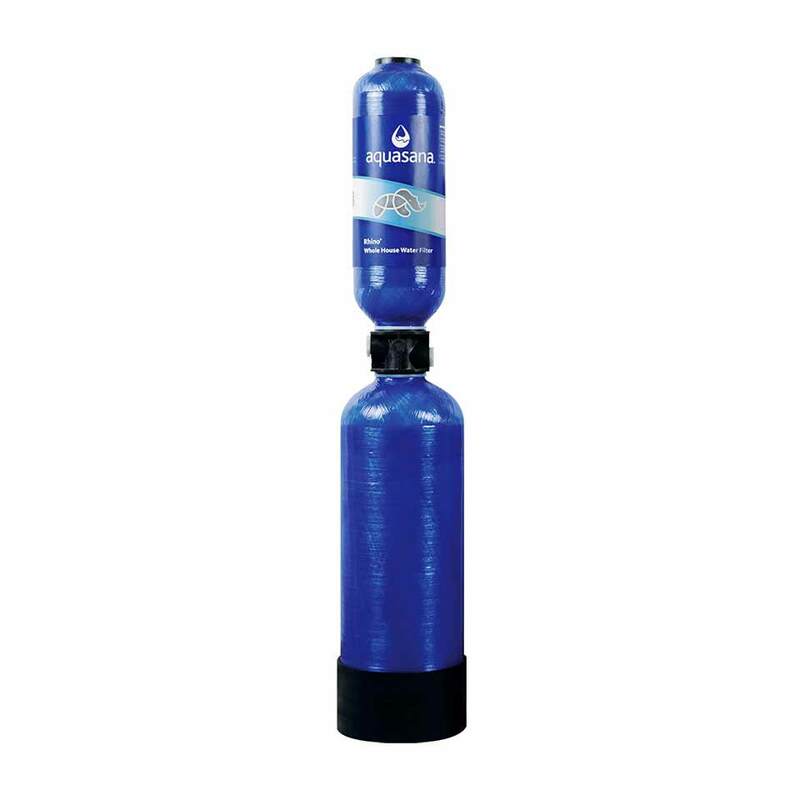 The main tank replacement for Rhino EQ-300 whole house water filters, this high-capacity, 3-stage, dual-chamber water filter unit is virtually maintenance-free for 3 to 5 years or 300,000 gallons of use. Rhino Whole House Filter Replacement is rated 4.6 out of 5 by 109. Third-Party Performance Tested & Guaranteed. Order Online or Call Toll-Free 866-No-Bottle! 3- to 5-year, 300,000 gallon main filter replacement for the Rhino EQ-300 Whole House Water Filter. This high-capacity, 3-stage, dual-chamber water filter unit is virtually maintenance-free for 3 to 5 years or 300,000 gallons of use! Average usage for a family of 4 or 5 is 100,000 gallons/year. Rated 5 out of 5 by Cowboy from Fantastic There is no more smell from our taps. Hot tub was unbearable before but not anymore. Rated 5 out of 5 by Tjbrewer4 from Excellent Product We did our research before purchasing our Aquasana system. We had a couple sales guys come in and test our water and tried selling us some high end $8,000 system. After comparing all of our options we decided to purchase the Aquasana Rhino 600 with the water softener + UV System. After having it installed I bought a digital water tester just like the one the high end salesman had to compare the Aquasana systems numbers to the high end system. 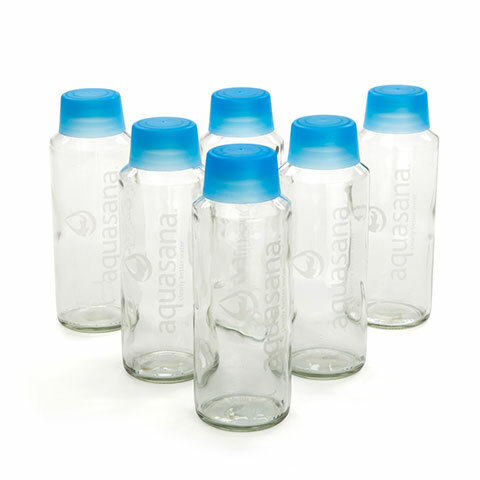 I tested the number and believe it or not Aquasana system had better numbers. The tap water at our house was running in the 150's and after the install our numbers our down to 14. The high end system that i was considering had number from 16-20.The bottled water we buy have numbers from 10-14 so, now every bit of water that is ran through our house is to the equivalent of bottled water. It's a huge difference in everything from the softness of our hair and skin to the amount of laundry detergent we used at one time. You will not regret purchasing this system. AMAZING JOB AQUASANA!!! Rated 5 out of 5 by Josh from My water tastes great and I feel better. 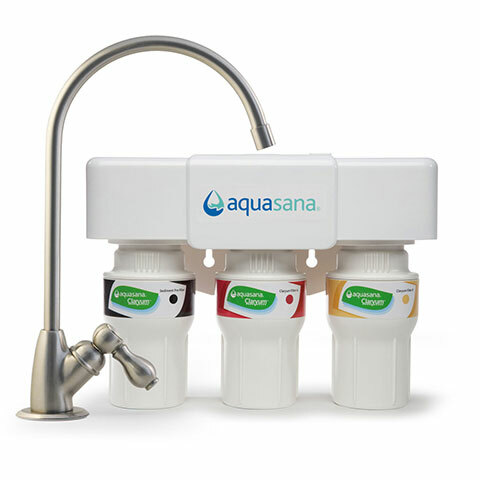 Aquasana water filter company does a great job on bringing clean water right out of the tap, no more plastic bottles and no more pollution! Rated 5 out of 5 by Dr Dave from Great investment! I've had the whole house Rhino in my home for several years and am comforted by the freedom to drink clean water in my house (most don't have). It may be tough to make that kind of investment on the surface, but when you consider the big money we spend on health care and insurance, it adds up to only pennies! Don't trust your government to filter out all the nasties. Disease is expensive, even if you have insurance, so getting ahead of it with water filtration is very smart and a great investment! Rated 5 out of 5 by JConklin from Easy to install filter replacements We've been using our Aquasana whole house filter for over 8 years. We recently replaced the main filter. The water quality and taste are exceptional. We couldn't be more pleased with this product. Rated 5 out of 5 by Joseph.G from Great product. Does it what it is built for! It has all the filters that are needed for a high quality system. 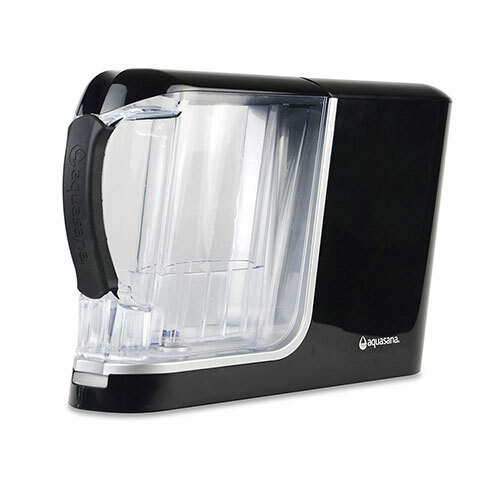 Rated 5 out of 5 by del bear from excellent filter for the cost, and easy to install>>> water filtration for the home. works great for a long time. Does this filter remove chlorine? Yes. The Whole Home System is certified to remove over 97% of chlorine. 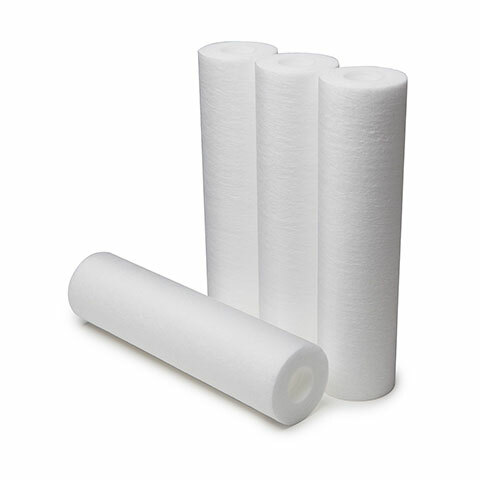 The Whole home filter is made from non-hazardous fiberglass so your Trash Department is able to pick it up. Do we have to hire a plummer to replace the tanks or is this something that a handy person can do themselves? Not difficult. Just pay attention to pipe alignment. My new tank fittings were in slightly different position than old tank. we just purchased a home with an artesian well and an Aquasana Rhino EQ300 system. &nbsp;Is the 300 the correct choice for an artesian well? &nbsp;The water has tested high for both sodium and copper. &nbsp;Will new filters reduce? How do you know when the big tanks for the rino 300 needs to be replaced. I am experiencing low water pressure right now &amp; am wondering if it's my filtration system. I just replaced the pre filter &amp; post filter so it's not that. Can the 600000 gal replacement tank be installed into a 300000 gal system? Hi, do you have to replace the whole tank or just the media after 300,000 gal. On the 3000? What, you just throw away the old tank? No just changing the filters? This is a disposable system?